noun: 1. 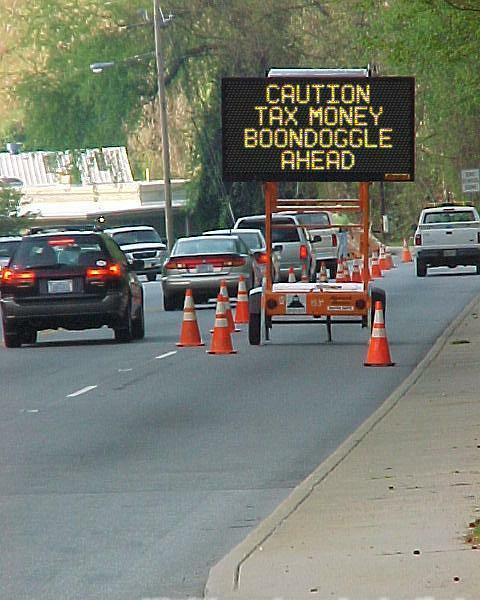 A pointless project funded as a political favor. 2. A holiday trip to an exotic location, disguised as a business trip. 3. 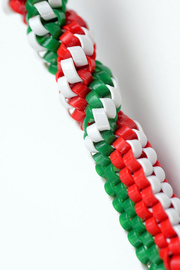 Braided cord, made of plastic strips, fabric, etc. verb intr. : 1. To do useless or trivial work. 2. To go on a business trip in which the real purpose is relaxation or fun. 3. To braid plastic strips, fabric, etc. Coined by scoutmaster Robert H. Link. Earliest documented use: 1929. 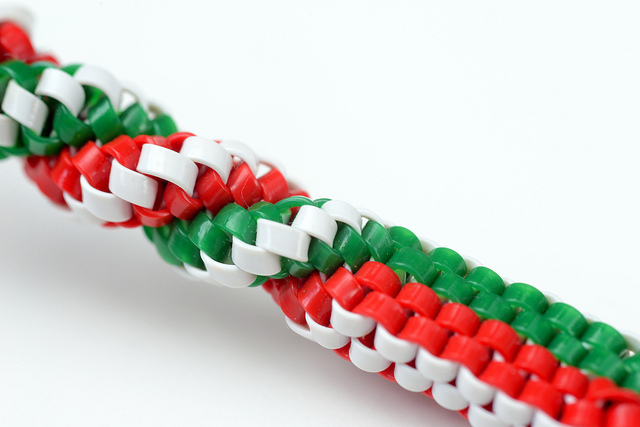 The original boondoggle was a braided cord made by Boy Scouts. In 1935, a New York Times article quoted someone criticizing a New Deal program to train jobless to make handicrafts as a boondoggle. Since then this sense of the word has become more common. Bill Mullins; Becoming Big League; University of Washington Press; 2013. Betsy McCaughey; Liberty Belle; Creators Publishing; 2015. 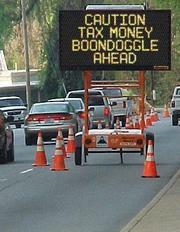 See more usage examples of boondoggle in Vocabulary.com’s dictionary.